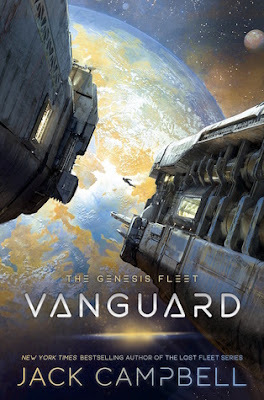 Summary from Goodreads: Jack Campbell returns to the world of the New York Times bestselling Lost Fleet novels with a new action-packed military science fiction series that explores the founding of the Alliance . . . and the men and women who fought to create it. When a nearby world attacks, the new colony of Glenlyon turns to Robert Geary, a young former junior fleet officer, and Mele Darcy, a onetime enlisted Marine. With nothing but improvised weapons and a few volunteers, Geary and Darcy must face down warships and armored soldiers or die trying. Review: Magnificent! Jack Campbell has done an amazing job at bringing an epic space battle to life. The characters were full of depth and color. I kept finding myself rooting for the Squall, even toward the end when they faced unparalleled odds, they never gave up. Four stars!